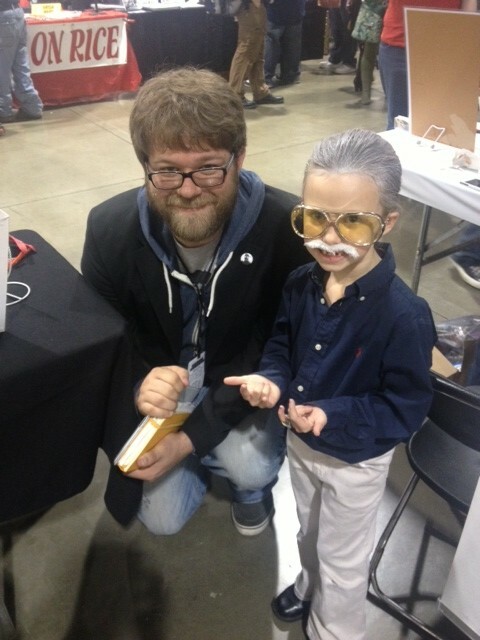 Just had a blast at the Motor City Comic Con. Despite some Saturday hiccups, the convention was a resounding success. Thanks to all the new and old friends that made the convention great. Must say, I couldn’t get an audience with Stan Lee, so I settled on meeting Lil Stan Lee that sat in the booth across the aisle from the Broken Icon booth.